The long-developing Methuselah film, which once had Tom Cruise starring as a Highlander-esque version of the Biblical figure, may have just added its second component from the Marvel Cinematic Universe. Last month it was Black Panther star Michael B. Jordan who stepped in to replace Cruise, and now Deadline reports Spider-Man: Homecoming's Jon Watts is in talks to take over as director. Just as Jordan isn't the movie's first star, Watts isn't the first director. Methuselah once had Joachim Ronning (Kon-Tiki) attached, then a couple of years ago Tony Gilroy (Rogue One) rewrote the script with plans to direct. Watts would be in charge of reimagining Methuselah as a man who has survived for hundreds of years, acquiring vast knowledge, unique skills, and without showing the signs of physical age. In the bible, Methuselahh was grandfather to Noah and lived to nearly 1000 years old. Jordan continues to build his resume as a producer with his Outlier Society label, signing a first-look deal with Warner Bros. He and Watts will be on the lookout for a new writer who can rewrite Gilroy's Methuselahh script. 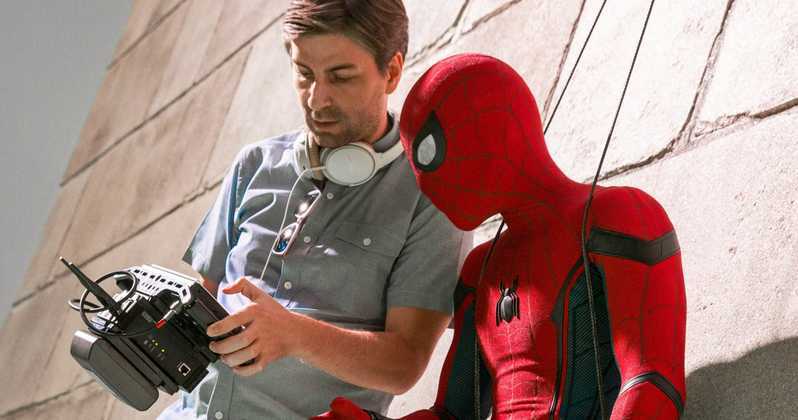 Next up for Watts is the MCU sequel Spider-Man: Far From Home which opens in July.